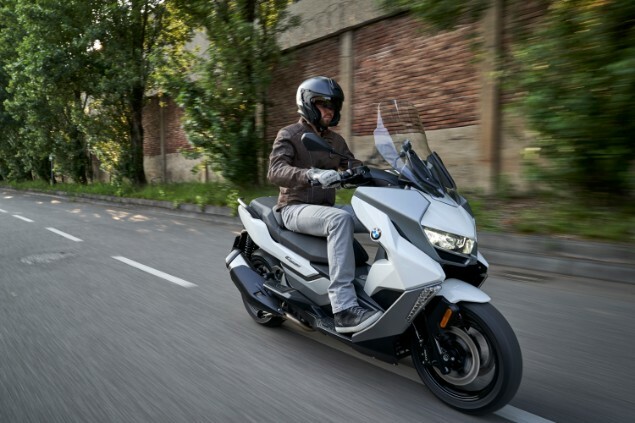 The BMW C400GT is a more practical ‘Gran Turismo’ version of the C400X scooter which has enhanced comfort, rider protection for those wanting to ride them over longer distances and with a pillion. Like many other manufacturers, BMW has identified a market for scooters that are ridden outside of the urban environment, with a growing market for those riders who want something a little more manageable than a full-size touring motorcycle. 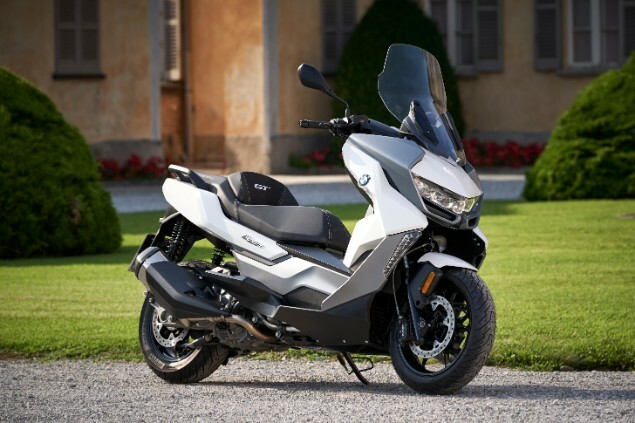 BMW already has a GT version of the C650 scooter and has now added a GT version to the smaller capacity C400 scooter range. 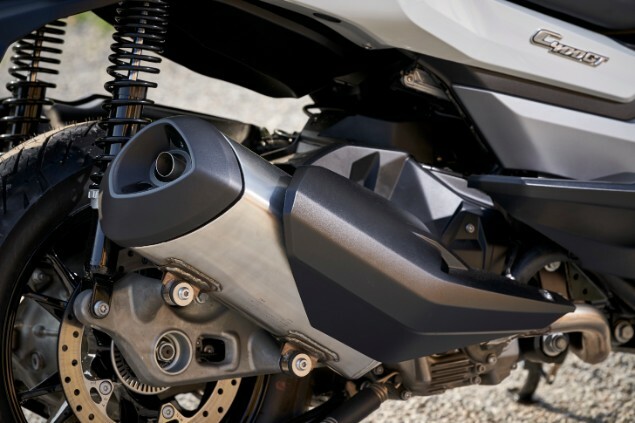 Underneath the new design of more protective bodywork is the same 350cc, 34hp four-valve, single-cylinder, four-stroke engine as found in the C400X scooter. The engine has been designed to be frugal, quiet and simple to use and works with a CVT gearbox which means the scooter is a simple twist-and-go throttle with no gears. The C400GT has traction control and ABS fitted as standard and also gets a 6.5in Thin Film Transistor (TFT) screen as an optional extra which works as the connectivity hub of the bike by linking with a Bluetooth-enabled smartphone to control phonecalls, music and a simple roadbook style sat nav too. The lighting front and rear is full LED and a keyless ignition is standard which works not only for the ignition but also the steering lock, seat, fuel filler cap and storage compartments. 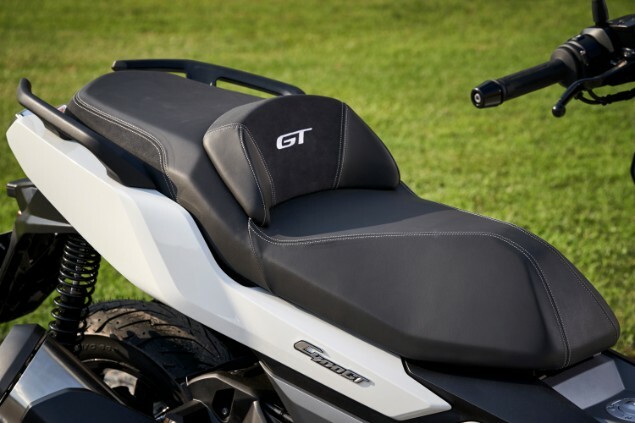 A taller windscreen works to keep more of the wind blast and bad weather from the rider and pillion and there is also a new design of seat with a separate rider backrest and passenger footboards rather than footrests. The whole point of scooters for many is the convenience and practicality they offer as well as the easy riding nature afforded by no gears and the C400GT works well in this regard. Underseat storage is the main storage area of storage and works with a patented BMW Flexcase design which sees a strong but pliable material unclip and drop downwards to increase the storage volume available. This Flexcase can only be used when the scooter is parked but it means the rider can store two helmets under the seat. Additionally there are two lockable storage compartments either side of the front part of the step through with one fitted with a 12v power socket to charge a phone while on the move. As with all BMW’s there are a large number of accessories including a choice of two topbox options of 30 or 29 litre capacity and additional LED headlight and a low seat. Three colours will be available on the BMW C400GT; white, grey and black.